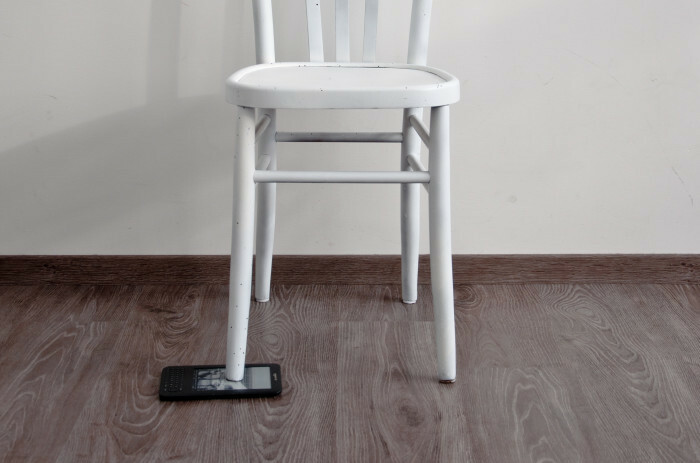 “Same Function, Same Utility” is an installation that consists of an ebook reader placed under a chair leg. 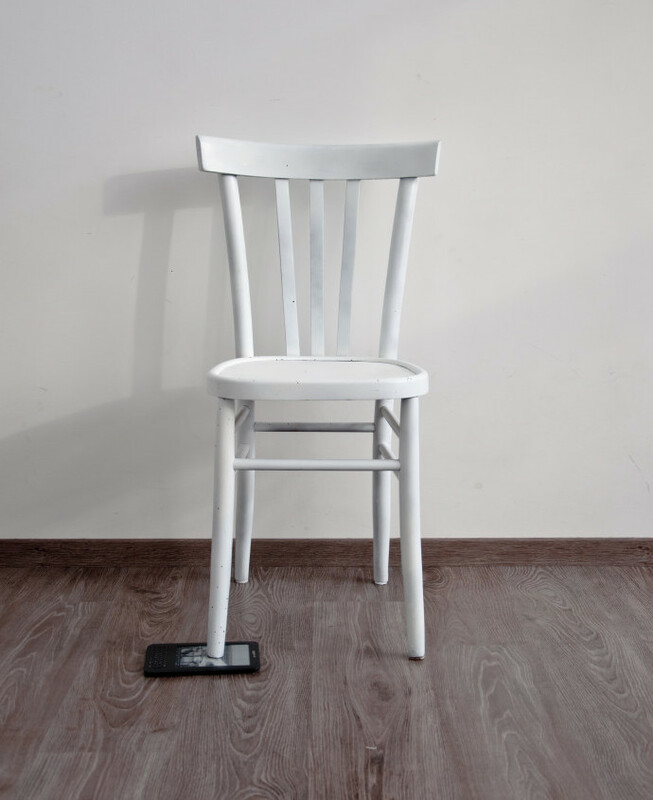 Exploiting the stereotypical misuse of books for levelling a chair leg, “Same Function, Same Utility” ironizes about the coming of ebook devices, which assume to substitute the function of paper books. This work celebrates a tiny subversion against the predetermined modes of use of the products, which limit any imaginative use of their natural affordances, shapes and materials.